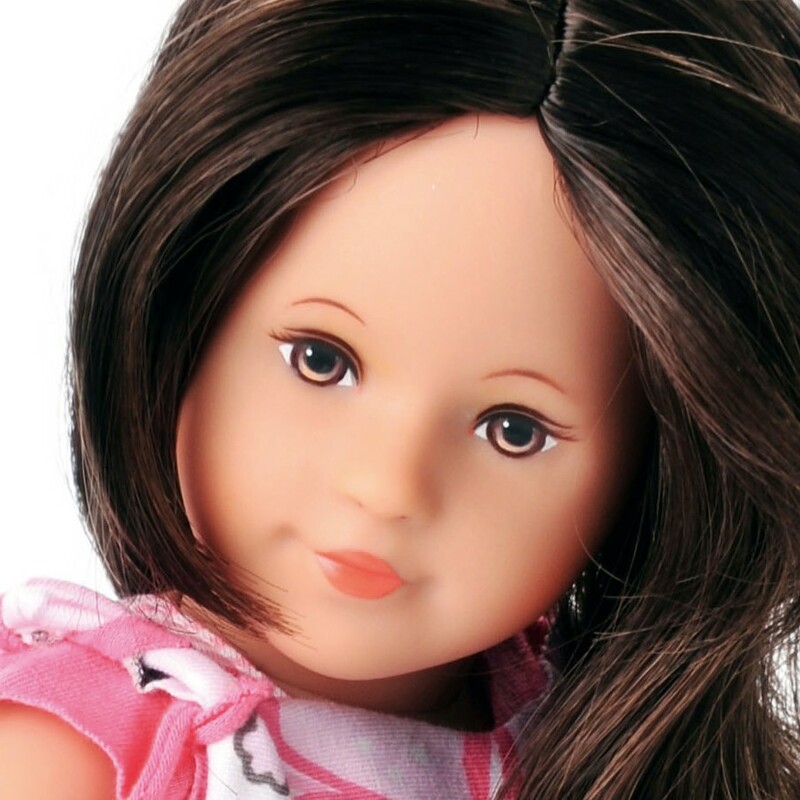 Marie Kruse Paris is a 14.5 inch girl doll with long black kanekalon hair to style and is packaged with two pre-sewn clothing kits for fun fashion exploring. 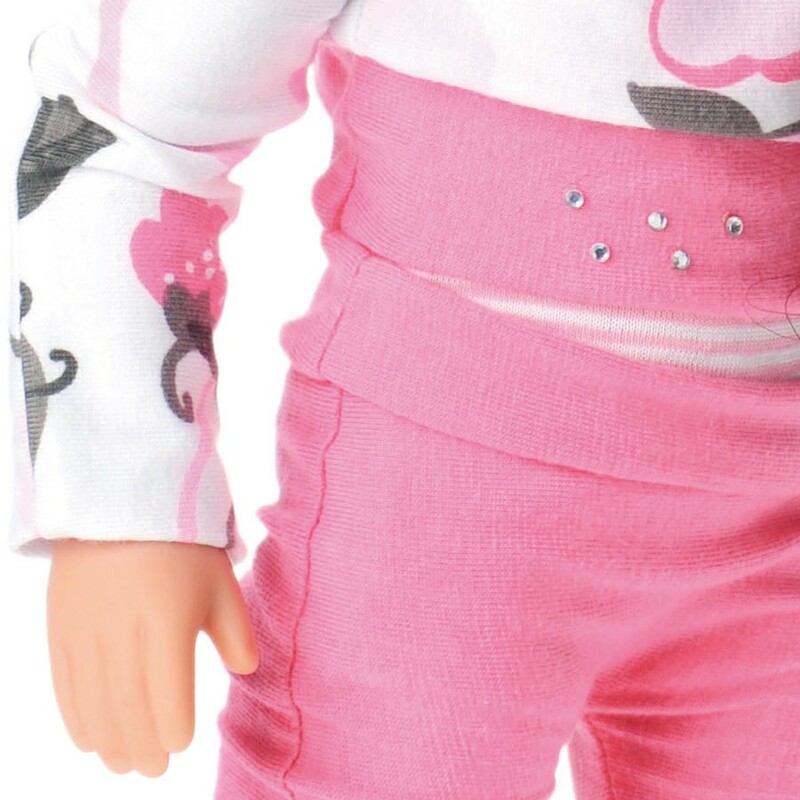 With just a scissors you can start to make clothing for her and add your own personal touch with glitter glue and rhinestones. 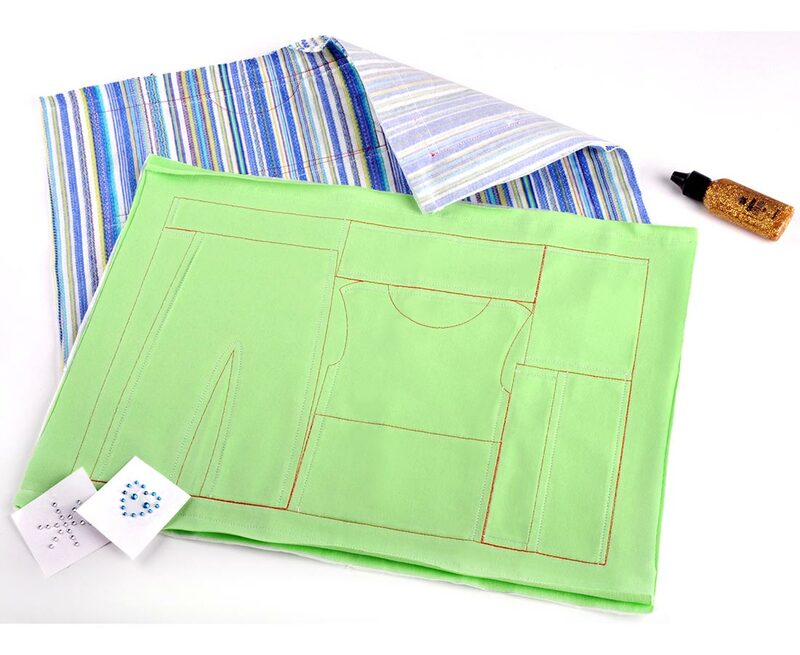 A clothing kit is two pieces of fabric pre-sewn with trousers, shirts, ribbons, and more. Use your scissors to cut along the red lines, pull off the white lining, and turn right side out to reveal your new fashion! Now mix and match for the look you are designing. 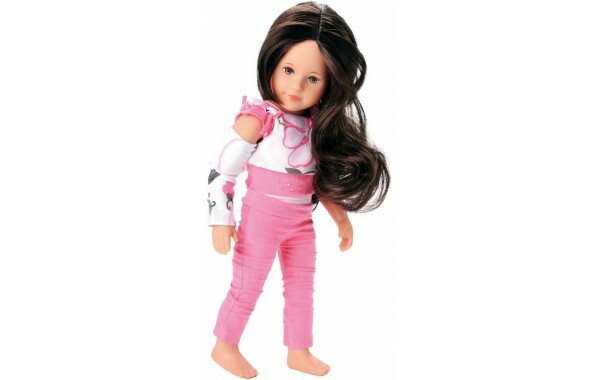 Includes everything needed to design cool, modern outfits. 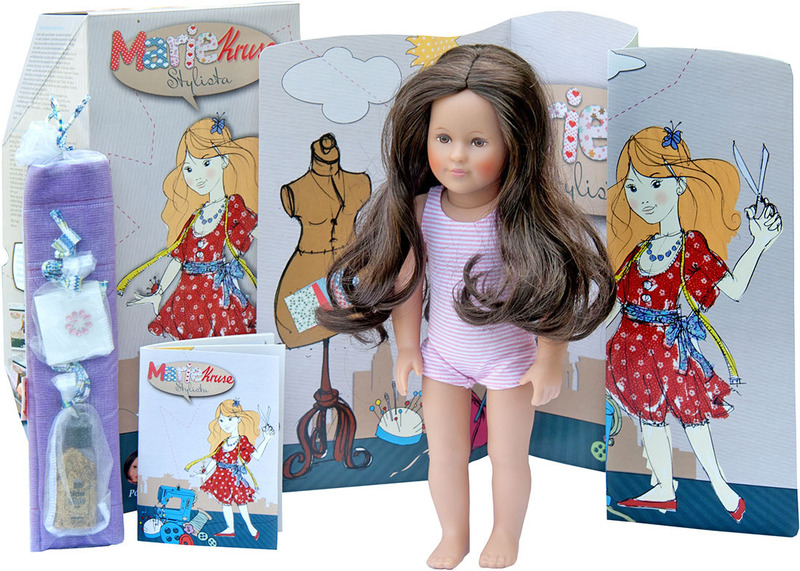 Marie Kruse is made of high quality phthalate free vinyl and wears one-piece underwear. Packaged in an attractive display box that doubles as her fashion studio. Watch the video to learn more.